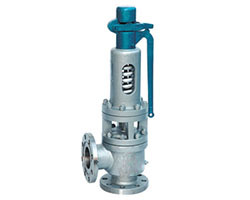 Ridhiman Alloys are Suppliers, Dealer, and Exporter and Manufacturers of Safety Valves in India. Our high-quality range of Safety Valves is exclusively designed for chemical industries, steel factories, petrochemical industry, fire protection systems, paper manufacturing industries, shipping/shipment industries, etc. These are designed and developed in accordance with the international quality standards. Safety Valves that are precision engineered using the best quality raw material. 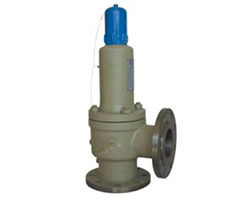 We also customize Safety Valves as per the requirements of the clients. We supply a wide range of precisely engineered Safety Valves, made in compliance with international quality and safety standards. Our Safety Valves are used for controlling the flow, pressure, temperature and liquid levels by fully or partially opening or closing the valve in response to signals received from the controller. Back-flow safety valve is mounted on the liquidoid refluence pipeline of the pan pump’s outlet of the liquefied petroleum gas station, when front pump pressure exceeds the stipulated value, the valve will open auto matically and lead to safe return of the liquid so that ensures the safe operation of equipments and pipelines. Take for extra pressure protection devices, Flange connecting dimensions of comply with standard series one and two of JB/T2769-94. These safety valve are used for the equipement and pipeline of the steam, etc. medium what the working temperature with C type are less than 425 Celsius degree and I type are less than 500 Celsius degree . and V type are less than 550 Celsius degree. For more info,please contact us at any time! This safety valve are used for the equipment and pipeline of the steam,air etc medium what the working temperature are less than 350 oC. Take for extra pressure protection devices. Flange connecting dimensions of comply with standard series one of JB/T-94.More detailed information,please contact with us. 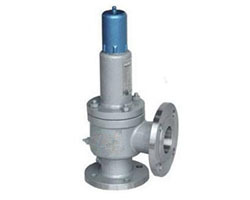 This safety valve are used for the equipment and pipeline of the steam,water etc. Medium what the working temperature less 350 oC . Take for extra pressure protection devices. Flange connecting dimensions of comply with standard series one of JB/T 2769-94. For more info,please contact us at any time!. A41Y-320P are used for the equipment and pipeline of the quality with corrode gas and liquid medium what the working temperature are less than 200 Celsius degree,take for extra pressure protection devices. Flange connecting dimensions of comply with standard of JBT 2769-92. 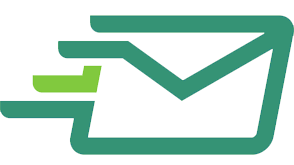 For more information about the valve, please contact us in time. Safety valve may be a valve mechanism that automatically releases a substance from a boiler, pressure vessel, or other system, once the pressure or temperature exceeds preset limits.It is one of a set of pressure safety valves (PSV) or Safety Valves (PRV), which also includes relief valves, safety relief valves, pilot-operated relief valves, low pressure safety valves, and vacuum pressure safety valves.Safety valves were first used on steam boilers throughout the industrial Revolution. Early boilers operating while not them were vulnerable to accidental explosion.Vacuum safety valves (or combined pressure/vacuum safety valves) are used to prevent a tank from collapsing whereas it's being empty, or once cold rinse water is used when hot CIP (clean-in-place) or SIP (sterilization-in-place) procedures. When filler a vacuum safety valve, the calculation technique isn't outlined in any norm, notably within the hot CIP / cold water situation, however some manufacturers have developed size simulations. 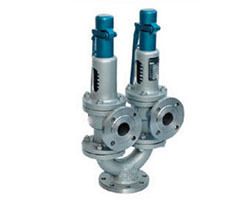 RIDHIMAN ALLOYS IS LEADING SUPPLIER DEALER EXPORTER AND MANUFACTURER OF Safety Valves IN INDIA. Ridhiman Alloys is India’s most trusted Safety Valves Dealers in India. Ridhiman Alloys have maintained to make a name in Safety Valves Dealers in INDIA. Ridhiman Alloys is an ISO 9001:2008 certified company that has been in existence since 2007. 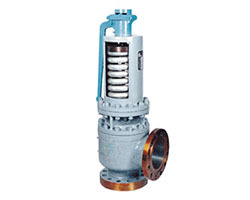 Safety Valves are designed to control and help the flow of gases, liquids or other material. Our manufactured Safety Valves contain prime quality materials. factory-made from quality grades meeting ASTM and/or AISI standards as a result of higher the standard, higher is that the toughness of the Safety Valves. prime quality of steel content makes a Safety Valves harder and will increase its hardness. 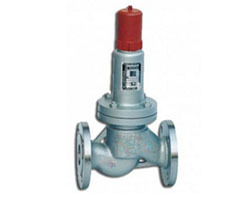 Ridhiman Alloys is specialized in Supplier and Dealers of Safety Valves in India. Ridhiman Alloys is a ISO certified Supplier and Dealers in India. Ridhiman Alloys is widely common in India for its prime quality Safety Valves products. Ridhiman Alloys Suppliers and provides solely quality tested Safety Valves. Safety Valves at Ridhiman Alloys bear several toughness and hardness check before provision it to our purchasers. we've over 99% happy purchasers. Our purchaser’s satisfaction depends on a variety of things like quality, Toughness, Hardness, Delivery Time and our Services for Safety Valves. Ridhiman Alloys may be a Indian Dealers of Safety Valves in INDIA. Ridhiman Alloys is also a leading Dealer and Exporter and Manufacturer of other Safety Valves such as control Safety Valves, safety Safety Valves, check Safety Valves, ball Safety Valves, butterfly Safety Valves, etc. in INDIA. Ridhiman Alloys is world Leading Dealers of Safety Valves. Product dependability and performance has created Ridhiman Alloys leading manufactures, Dealer of Safety Valves in India. Each month we tend to export Safety Valves product to India port around sixty-five containers to completely different customers. Our prime quality of Safety Valves, sensible client service, and in-house Safety Valves processing capabilities have made us one of the emerging and leading Dealer of Safety Valves in INDIA. Our product Safety Valves area unit exported frequently to over sixty-five countries. Over last 11 Years we tend to had equipped over 2500+ plenty of Safety Valves to India. Orders at Ridhiman Alloys area unit secured and we offer quick delivery of Safety Valves in India. the most reason being we've a wonderful reposition and storage facilities for each finished and semi-finished Safety Valves. they're finished as per the pressing necessities and requirements of the customers. Our company has scaled unimaginable heights in business due to its innovative products, thereto success our export nowadays is in as a result to that success our export account today is in India, Qatar, Oman, Mexico, Canada, USA, Nigeria, Singapore, Malaysia, South Africa, Kuwait, Alriyadh, Bahrain, Sri Lanka, Australia, Brazil, Venezuela, Bangladesh. Our team strives to lean our peers in providing worth added services and support to our customers throughout the world. We are going to deliver instantly with ready to export/supply Safety Valves.